just a bit frayed: Splendid Sampler 2: My Flock, and a Garden Club giveaway! Splendid Sampler 2: My Flock, and a Garden Club giveaway! My Flock - Splendid Sampler 2 Block! I wanted to create a block that featured flying geese, they are one of my favorites! There are so many ways to make them and rulers out there to help make them quickly and easily. If you have never tried to make flying geese today is the day to start! Click here to get the FREE instructions on how to make the My Flock block and make sure to link up your photo so I can see what you made! I made up a second version of the this block in my brand new Garden Club fabric collection for RJR! This is perfectly timed because my new fabrics are shipping to shops right now! AND I'm also going to give away a Fat Quarter bundle of Garden Club to you as well! Just leave me a comment on this post and I will choose a winner on Monday, August 6, 2018! You can order yardage and bundles of my new collection at my fabric shop Pink Castle Fabrics right now as well! Happy sewing friends! Hope you have fun making my block! Thanks for stopping by! I can't wait for the book! Great job, Brenda!!! Love the block and the fabric. Love that the block is slightly off center. That gives it such a unique quality. Great block and beautiful fabric! Love your fabric - it's beautiful! This block looks like fun, and love the new fabric line. I like the colors they are so unique. Can't wait to do the block. Fabrics are fabulous. These fabrics make my heart sing! Love the clear, vibrant colors. Thanks for the chance to win! I also love flying geese! Your fabric looks beautiful. Thanks for the giveaway chance. Your block looks so pretty in Garden Club! Thanks for the giveaway. Love your new collection of bright cheery fabric, Congratulations! Oh my goodness! Your new fabric line is stunning. Love the colors and the prints. I love colorful fabric !!!!!! Love your block also , thank you very much for sharing with all of us. I love Block 8 of the SS2. Your fabric line, Garden Club, is gorgeous. Love the rich hues. I love the block. I did a flying geese quilt a while back for a friend. I love your Garden Club fabric line. It's very happy fabric. I just love the name for your block......My Flock. Sew cute! I can already see the colorway I want for this one. Might have to make two of them even. 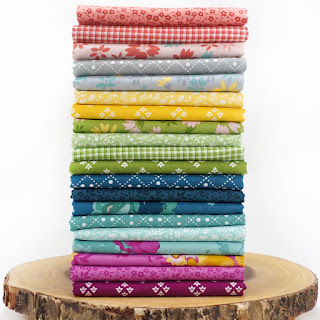 Your fat quarter bundle is like looking at luscious summer fruit! Thanks for sharing and for the chance to win! 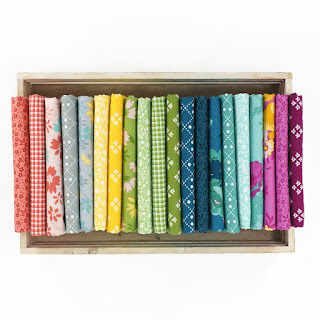 Thanks for the Flock block & an opportunity to win some luscious Garden Club fabrics! Great work! Thanks so much for the great block design and also the chance to win your beautiful collection of Garden Club fat quarters! Happy Sewing! Love...We need alittle Red, White and Blue. It's who we are!!! Love your fabrics. Can't wait to make your block and check out the Garden Club fabric. Thanks for the Splendid Sampler block - can't wait to try it. And such a happy bundle of fabric. I would love to win it! LOVE the block and the rainbow of colors in the Garden Club line!! Thanks for sharing with us. I love this block, and really, reeeaaly love the garden club bundle. The colors are amazing! These colors are so cheerful. They put a smile on my face! Love that magenta!!! So beautiful! Thank you for the beautiful block! The fabric is just lovely. I enjoy the modern array of colors in your collection. The fabric collection is beautiful. I am following with the blocks and looking for inspiration and courage to join in. Your fabric certainly is the inspiration I needed. Beautiful collection. Thanks for sharing. Awesome colors!!! They would be PERFECT for the Splendid Sampler2 blocks, that I haven’t started yet, but I know, without a doubt, that having this bundle would get me started!!! My flock, is a beautiful block. Thank you!! Wonderful colors in your garden! OMG!!! I have to get some of this beautiful fabric!!! The Splendid Sampler is great in both colorways...love it! Your fabric is beautiful and I can't wait to get home so I can make your block. Can’t wait to get started on making your block. 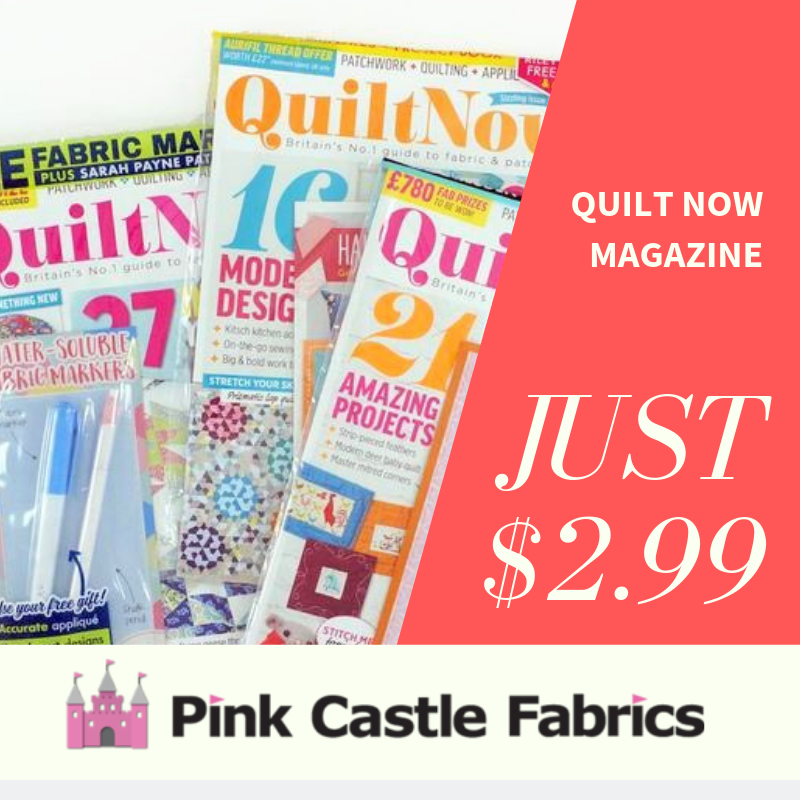 Already thinking of future quilt projects using your beautiful fabric. Lovely block! and great fabrics too. I too like flying geese. they are fun to make and look good anywhere in a quilt. your fabric is beautiful. thanks for your block and the chance to win. I love your new line, Garden Club. The colors are lucious. And I particularly love the design of your block this week. I am not very good at applique and am thrilled for a pieced block! This will be fun to stitch up. Thanks for a cute block. And I adore your fabric collection! This color palette is just what I love. I love the look this block takes in your new fabric line. 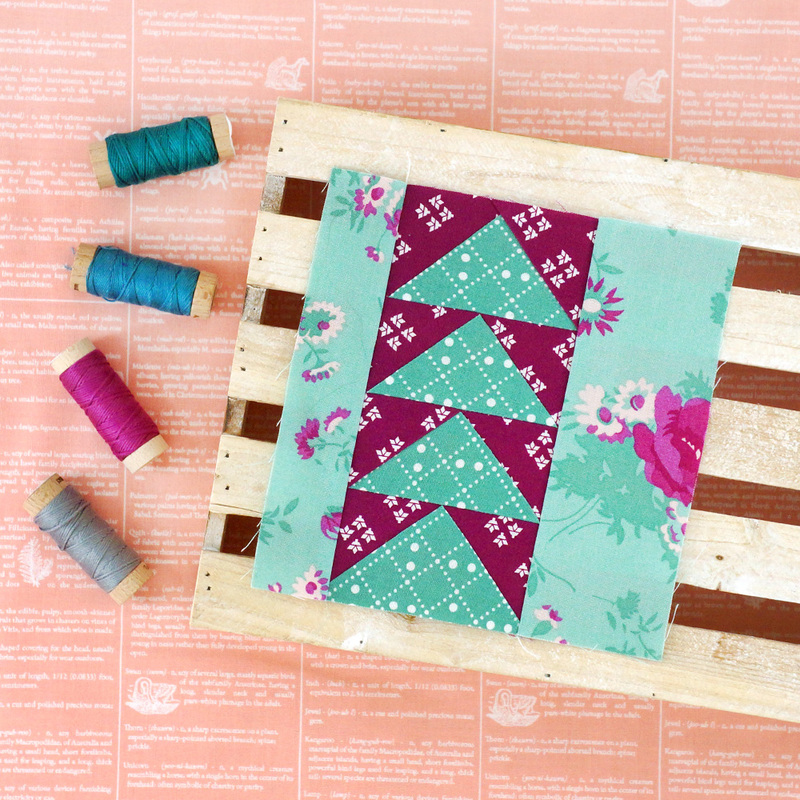 Love your fabric designs and sweet Splendid Sampler block, today! Love the colors in your fabric! Thank you. What lovely fabric! I,'m excited to make your awesome block! Love your block. Your new fabrics are beautiful! On my way to cut out fabric for the Splendid Sampler block right now and thanks for the fabric reveal. Those colors look fresh and totally new combinations to get us excited. I would love to have a bundle! love the colors in your new fabric! Love the block you designed. It looks great in your fabric too. I adore flower prints and yours are gorgeous! Beautiful colors. I like the way the block looks in your fabric! Thank you for a beautiful block! I,too,LOVE Flying Geese! Glad to see the greens & yellows in your new fabric line. This is my first splendid sampler! I'm sew excited to get started. It would be lovely to win a bundle of your fabrics to get me going as I've not yet decided which fabric to use and this seems the perfect fabric. I love following your blog! Happy stitching. Love the SS block and your fabric line is beautiful. Nice collection. Love the block, also. Your fabrics are deliciously happy! Thank you! Love your color way of the Flock Block! I really like your colors and pattern design in Garden Club bundle. Thanks for sharing your "My Flock" design with us. Love the Garden Club fabrics! 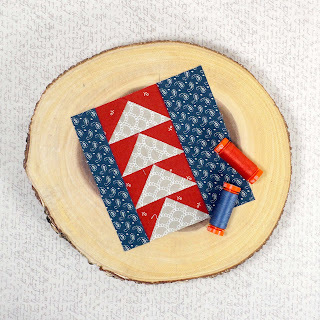 Adorable block - looks great in your fabric! Love the ease but beauty of this block. Much more my speed. Those fabrics are lovely. Thank you for designing for Splendid Sampler. Love your line of fabrics!!! Thanks for the opportunity to win them! GREAT block and fantastic fabric. Love the Splendid Sampler Block 7. The flying geese are perfect. The new collection is so pretty. Sure hope I can use it in my next quilt. Would love your fabric collection. It would be great to make the splendid sampler 2 . I like the fabric. Thanks for the give away. Such beautiful colors and wonderful pattern. THa tis a lovely gift, thanks so much. I do think I could enjoy a whole quilt of theis block, slightly wonky to add interest. Fun block and wonderful fabric collection! I love your new fabric, especially Garden Club Cuttings in Grass <3 Thank you for the block and the giveaway! I have never done flying geese but will give it a go. Have to wait til next weekend when I pick up my new machine. Been without a machine for months so I have a lot of catching up to do. Been keeping track of all the blocks. Beautiful colors in your garden. Eager to try your flying geese. Teal and violet together - PERFECT!! Can't wait to sew the block. Love your fabrics.. the colors are beautiful! Flying geese are one of my favorites too! I am also a fan of your fabrics...have quite a bit in my stash. Very excited about this new line. Thanks for the giveaway! Love the block and the fabric is Gorgeous!!! Love the block and the fabric! Wow, beautiful fabrics!!! Thanks for chance to win. Love your block also. My flock, what a block! It's fun from start to stop. Garden Club, What lovely blooms! I think i need some in all my rooms. Would like to be the lucky one to receive this beautiful bundle of fabric! Great block design, and I love your new line of fabrics! Love the fabric (and the block)! Thank you. Beautiful fabrics.. would make an awesome quilt. Love the colors of your new fabric line! I love the colors in your new collection, it is so cheerful. I love your block too! Thanks for the inspiration! 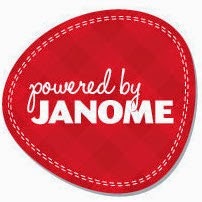 I just happened on this site and enjoyed what I see and read! Beautiful fabrics! Love the name of your blog, just abitfrayed. Sometimes in the quilting process we do become “just a bit frayed”. Congrats on all your success. Beautiful fabric. The color range leads to so many possibilities for this fabric. Love the orange. Beautiful fabric and such a fun block!! Love the magenta and blue fabrics together in your block. Congratulations on your new fabric line. Lovely colors and motifs. I just visited your website and ordered the Harlow collection and some grunge! You have a fantastic selections — many fabrics I’ve never seen before. So happy I got to use one of my fabrics with birds on it for the My Flock block! Looking forward to doing your block and am excited for the release of Splendid Sampler 2! Beautiful fabrics! Congratulations on being one of the designers for The Splendid Sampler. The fabric is a unique blend of colors and designs. It nearly begs to be made into something immediately. Thanks for the opportunity to have a chance to win some of this gorgeous fabric. Good luck to everyone. Really like this block and fabric too! I'm getting better at making flying geese. I'm not losing the point as often. Love the colors in Garden Club fabric. I made your block today! Love it!! Love the colors in your collection. This sure would be a nice birthday present! I love your flying geese block! I love flying geese blocks! This bundle looks delightful. Thx for the Giveaway. Love your block, simplicity is what I need after the challenging blocks so far, but it’s beautiful. Especially in your new fabric line. Can’t wait to see it at my LQS. I just love your fabric! Thank you for the chance to win it!! I love flying gooses too. hehehe, ok I know they are geese. Loved the My Flock block. Was so fun to make. Thank you! Love the fabric and your block is too cute. Such a wonderful project to be a part of! A friend wants me to make a flying geese quilt for her in memory of her husband. I need all of the practice that I can get. Thanks for the tutorial. Just made your block today turned out great. Love the colors of your fat quarters. Just made your block today, love the fabric. I would love to win your FQ bundle. I was so excited to see geese. My favorite! Thank you. What a pretty block, Brenda, and in your Garden Club fabric it really pops! I love the colours and designs you used and would really love to win so I can copy your block exactly, but I live in the UK so I expect I will be excluded!?! If What a pretty block, and in your Garden Club fabric it really pops! I love the colours and designs you used and would really love to win so I can copy your block exactly, but I live in the UK so I expect I will be excluded!? I’m off to make a block now. Thank you for the pattern. Oops, sorry my comment repeated itself! Sorry about that. I like your sampler block pattern! Fabric too! I really like your fabric and can't wait to make your block. Great block. And beautiful fabric collection. I just saw it in person recently. I'm late getting started, but love your block and new fabric line.